There might be only a few weeks left before winter conditions prevail in the high country, so if you’re looking for scents of pine, scenes of eagles and tight lines from trout, go now. Fairly stable weather and lows in the low-20s are predicted this weekend for areas like Flagstaff and Pinetop. Make that mid- to high-30s in Payson. 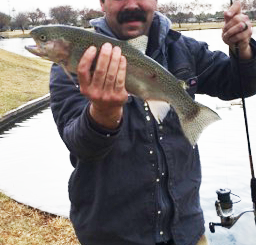 Some good fishing reports have come in recently from Ashurst Lake (see the Catch of the Week) and Willow Springs Lake. Other good bets could be Dogtown Reservoir, Kaibab Lake, Fain Lake, Kinnikinick Lake, Reservation Lake, and of course, Woods Canyon Lake. Seasoned bass anglers are keeping an eye on the water temperatures. With colder and longer nights, temperatures are peaking out in high-60s in some desert impoundments and will continue dropping. Right now bass are feeding heavily in preparation for winter. In general, their metabolism begins to slow once water temps drop into the 50s. That doesn’t mean bass won’t eat: it just means they tend to feed less often. Crappie fishing is still good at places such as Roosevelt and Alamo lakes. Some decent reports also have come from Bartlett Lake. As long as we have stable weather patterns, crappie fishing should be an excellent choice. Look for schools of crappie around structures such as rock piles, brush, submerged trees, or in the case of Roosevelt, artificial habitat. See a recent crappie report. Trout are back in Community waters — the main Community waters are being stocked this week. Stockings planned for Alvord Lake in Phoenix and Green Valley Lakes in Payson will be delayed until Tuesday of next week. See the schedule. 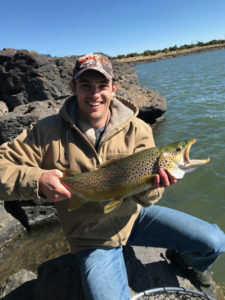 Michael I. fished Ashurst Lake the morning of Saturday, Nov. 10 and caught this 22 1/2-inch brown trout on a silver Rapala. Rainbow trout: “Core” Community waters (except Green Valley Lakes and Alvord Lake), Goldwater Lake, Parker Canyon Lake, Verde River, Wet Beaver Creek. Saturday: Family Fishing Day, 8 a.m.-noon at Desert West Lake 6602 W. Encanto Blvd., Phoenix. 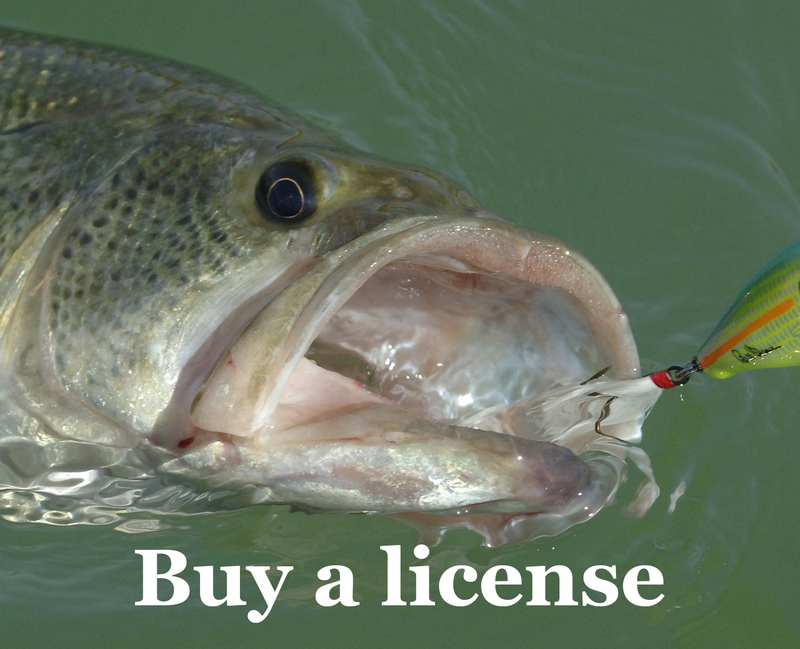 Saturday: Fishing Clinic, 8 a.m.-noon, at Eldorado Pond, 2311 N. Miller Rd., Scottsdale. Tuesday, Nov. 20: Welcome Back the Trout to Tempe Town Lake, 4-6:30 p.m. SRP Tempe Town Lake Marina. Read more.